Although it was cheap and made firmly, the product itself was satisfactory, but it was a different from the thing that the screw pitch is commonly distributed, and it was a hard time to make two forks. I would like you to make it easy to search for items with the same diameter and pitch. This review is about item#7185936. We are using it for drainage of aquarium equipment. It's cheap and compact, it's good to choose a variety of sizes. This review is about item#7186112. Because it is only used for taking in and out of water, it can be saved in price. 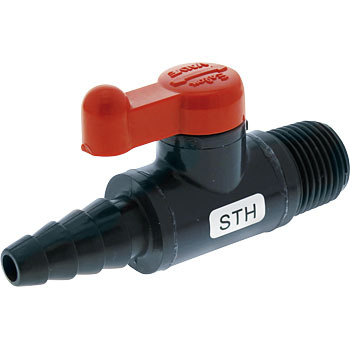 Compact, valves can be used without problems, can be used with confidence. This review is about item#7185911. In liquid fertilizer the metal valve rusted, so I was looking for a resin valve. It is convenient to use it by branching from the PVC tube and attaching a valve as many as the bed. This review is about item#07185911. It is convenient to provide a water spout from PVC piping. It is convenient because you can also connect a water hose. I was perplexed by the 3/8 male screw, but I solved it and made an air piping facility. This review is about item#07185927.